Hardcover, 9.5 x 12.25 in. / 332 pgs / 415 color / 79 bw. 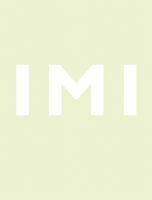 This substantial and long-needed volume surveys the five-decade career of the popular German Minimalist painter and sculptor Imi Knoebel (born 1940). It features material from Knoebel's archive and reproductions of key works by the artist, from his early Line Pictures to his recent work. 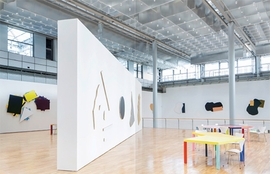 A pioneering and much-loved figure of 1960s abstraction, Knoebel continues to find fresh ways to experiment with form and color. Also included in this volume are essays by curator David Moos, art historian Marie-Amélie zu Salm-Salm and Knoebel's contemporaries Johannes Stüttgen and Max Wechsler. An in-depth descriptive catalogue of works further affirms this volume as an essential standard reference. 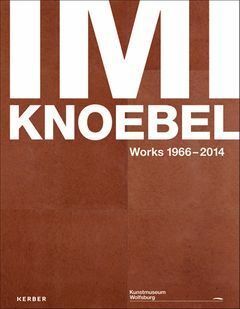 It is published to accompany Knoebel's career retrospective at the Kunstmuseum Wolfsburg, on the occasion of his 75th birthday. 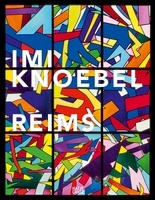 Featured image is reproduced from Imi Knoebel: Works 1966-2014. FORMAT: Hbk, 9.5 x 12.25 in. / 332 pgs / 415 color / 79 b&w.